Today, in Damascus, I met with Dr Bouthaina Shaaban, political and media adviser to the Syrian President, Bashar Al Assad. Dr Shaaban is a woman of immense experience in the political sphere within Syria, she is a woman who expresses herself without filters and with tremendous wisdom and visible compassion for her country and her people. Like so many of the political figures and religious leaders who have remained inside Syria for the duration of the almost six year dirty war that has been waged against Syria, by the US, UK, EU, Gulf States, Turkey & Israel, Dr Shaaban, has come under attack from the assorted corporate media oufits and government-foreign-policy aligned NGOs or so called “anti-war” organisations that seem to have no problem in suggesting that war should be employed to achieve peace in Syria. Dr Shaaban spoke with evident emotion, of the liberation of East Aleppo, and above all, of the exploitation of children over the last four and a half years to maintain the faux humanitarian pretext for flooding the eastern districts of Aleppo with more Nusra Front-led mercenaries, more arms, more missiles and more suffering for the Syrian people trapped in the East and being targeted in the West of the city, by all manner of limb lacerating mortars, hell cannon missiles, explosive bullets fired by the Nusra Front-led terrorist and mercenary gangs, and of course the random suicide bomb attacks. Dr Shaaban spoke of the Zionist project to erase Arab identity and to destroy Arab culture, society, history, infrastructure and civilization in order to claim history for Israel and eradicate all trace of the Arab peoples. At the end of our short conversation I asked Dr Shaaban if she would pass on a message to the West with Christmas round the corner and a troubled end to 2016 with the assassination of the Russian ambassador to Turkey, Andrei Karlov. I feel that while western children are ready to celebrate Christmas and expecting what Santa Claus will bring them, its an appropriate time for western people to remember Syrian children, who have totally lost their childhood during this horrible war that has been launched against Syria, for no reason whatsoever, and for no crime that the Syrian people have committed or perpetrated. In this sense, I would like to direct a message to western media that tries to take information from those who are known to be targeting Syria, from those who are known to be feeding terrorism, arming terrorism, financing terrorism – to stop that! To try and rely upon journalists and people who look for the truth and at least take the trouble to visit Syria to see for themselves what is happening in Syria, to look for the reality, rather than try to promote all these terrorists who have been perpetrating the most heinous crimes ever, in our country. 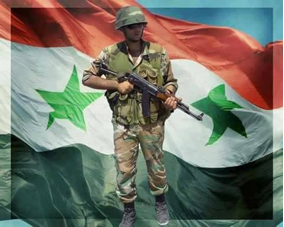 Syria is a country that has lived through thousands of years, because the Syrian people believe in their country. They believe in belonging to this land, so we will continue to defend our land and we will continue defend our country. Honestly, terrorism is a danger to all of us. It is a danger to Humanity, to Europe, to America, to Russia, to all countries in the world. Unfortunately I fear that the west is not going to believe us until they suffer what we have suffered and clearly we do not want them to suffer what we have suffered, because, believe me, it is a catastrophe, what the Syrian people have suffered, in the last five years. However, I have to pray, that next year, 2017, is going to be a better year, for Syrian people, for western people and for the world at large. All that I ask, is that now, western people just please look for the truth. I am not asking them to speak in favour of the Syrian government or the Syrian state. I am asking them to speak in favour of the truth. Please dont promote information unless you know this is really what is going on. I dare say, that, corporate media have played a very negative role in our lives. It has caused death and destruction in Syria, simply by circulating stories and ideas that are totally unfounded, in Syria, and made it appear as if they are the truth of what is happening in Syria. So, please, be cautious and think twice before you say something or write something about Syria.